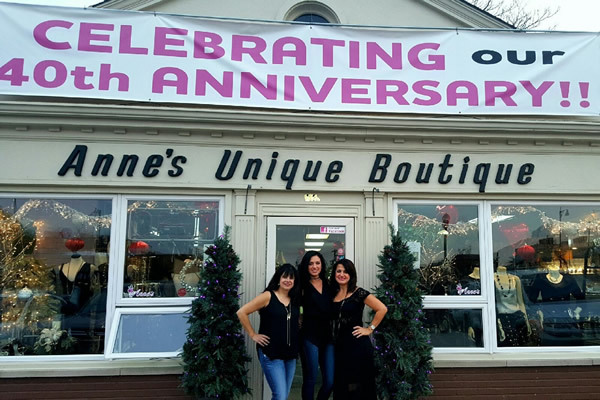 Anne’s Unique Boutique is a family owned and operated business – since 1976 – one of the northwest suburb’s longest running consignment boutique and rated one of the top consignment boutique in the Northwest Suburbs. The boutique was featured on an episode of HGTV’s Shopping Detective. It was founded by Anne de Koning in 1976 and is presently owned by son Bill and daughter-in-law Tina de Koning. The boutique carries ladies, men’s and children’s upscale clothing and accessories. 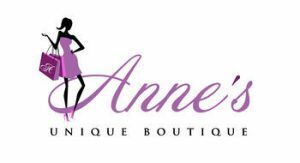 Featuring new and gently used upscale designer clothing, handbags, shoes, jewelry, china, crystal and collectibles. With a consignment base of more than 10,000 customers you’re sure to find a hidden gem/treasure. New items are accepted and featured on a daily basis. The boutique accepts seasonal items only. It is organized by brand names and designers such as racks with Chico’s, White House Black Market, Free People, St. John knits, Armani, 7 for All Mankind, AG jeans, Current Elliott, Louis Vuitton, Chanel, Dolce & Gabbana, Jimmy Choo, Christian Louboutin, Prada, Gucci, Manolo Blahnik, Tom Ford, Christian Dior, Tiffany jewelry and crystal, Judith Ripka, David Yurman, Tory Burch, Lilly Pulitzer, Mother, Miss Me, Michael Kors, Dooney & Bourke and a large collection of Coach bags.